If you are planning to visit South Korea’s vibrant seaside city, chances are, you are also searching for the best places to stay in Busan. Should you stay in the downtown area? Or would prefer to stay close the beach? 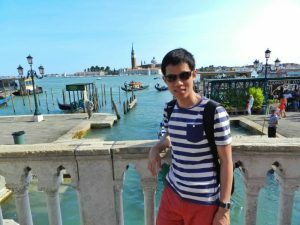 In this article, I will give my thorough recommendation on the best areas to stay when visiting Busan. 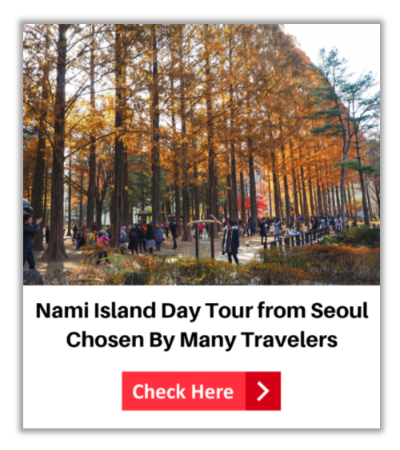 For me, there are two places visitors can stay – Nampo-dong and Haeundae. Read on to know why I recommend these areas for those visiting Busan. I am also listing my top picks for hotels in these areas. Where is the best area to stay when in Busan? No doubt, I will say, Nampo-dong. One of the city’s popular districts, Nampo-dong is the shopping, dining, and entertainment hub of the city. If you love to eat and shop, Nampo-dong is the place to stay. When you stay in one of the hotels in Nampo-dong, stores from high-end to discount will be a few distances from your accommodation. Famous for its street food scene, you will never go hunger when stay in this area, for sure there more dining options just outside your hotel. As one of the centers of Busan, Nampo-dong makes everything accessible. Thanks to its close proximity to Busan Station, it is easy to travel by train from one area to another. If you are traveling back to Seoul, Nampo-dong is the perfect choice. 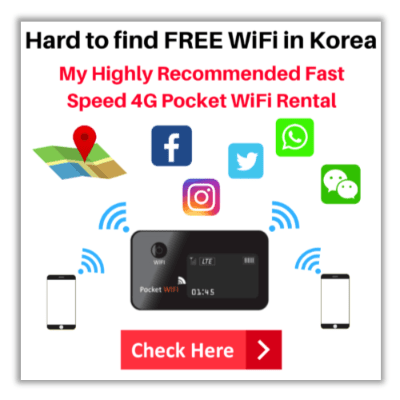 For affordable hotels in Nampo-dong area, I have listed hotels ranging from budget to mid-range hotels. Located 2.2 kilometers from the famous Gamcheon Culture Village, this no frills guesthouse apartment offers 15-smoke free rooms from dormitory type (for females only) to private family rooms. In-house amenities include rooftop terrace, luggage storage, free Wi-FI, complimentary breakfast and common room with TV and kitchen. Stay in one of its 28 guestrooms, Nampo Comma Hotel offers more than any budget hotel like an on-site hair salon, ATM/banking service and a convenience store. Choose between Deluxe and Standard Room fitted with private bathroom, housekeeping, and basic entertainment amenities. Great location, guests can have a good view of the sea and port from K-Guesthouse Premium Nampo 1. Each of its 41 rooms have cable, fridge, and private bathrooms. To make your feel at home, the hotel offers concierge, complimentary Wi-Fi and breakfast. Laundry facilities are also available. This guesthouse is close to top attraction like BIFF Square and Busan Tower. The best feature of The Last Hotel is its 36 guestrooms with modern and minimalist interior, giving guests a relaxed and pampering ambiance. This hotel has a bar/lounge for guests to enjoy some nightlife without leaving their hotels and without staying in a luxury hotel. Gwangbok-Dong is only a minute away from the hotel on foot. Mini Hotel May is housed on the 13th floor with 23 smoke-free and air conditioned rooms. The good news, this hotel offers free parking. Family rooms have flat-panel TV, tea/coffee maker, daily housekeeping, and en suite bathroom. 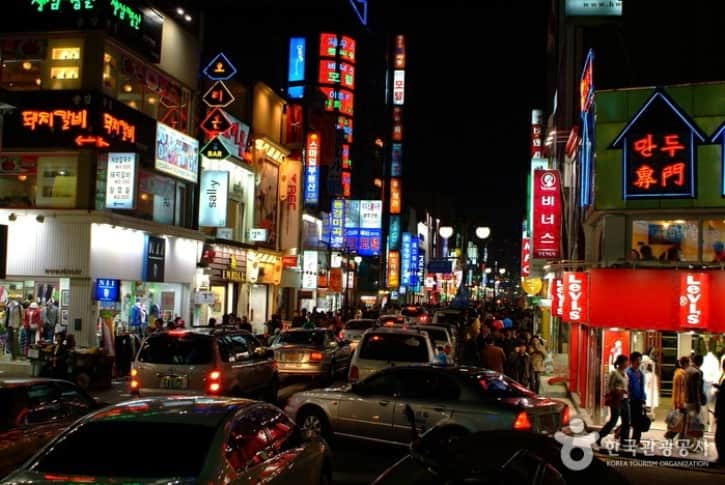 The closest attraction is the Gwangbokro Culture and Fashion Street. Perfect for guests who prefer to have more amenities but still pocket-friendly, Hotel Noah is a 3-star hotel offering Double, Twin, and Family Rooms. This affordable hotel offers a long list of amenities like a health club, conference space, and a restaurant. Suited for international guests, Hotel Noah has a multilingual staff. A bigger hotel in the heart of Busan, Stanford Inn has 132 rooms arranged in 15 floors. With this, selected rooms enjoy harbor views – each room is fitted with modern and up-to-date amenities. Breakfast, Wi-Fi, 24 hour front desk, concierge, luggage, and coffee shop are some of the hotel’s amenities. Located within Jung District, BIFF Square is only a minute away by walking. Modern rooms with ample space, Hotel Forest Premier Nampo has a 24-hour business center, restaurant, parking, meeting rooms, and a convenience store. This hotel offers complimentary Wi-Fi and coffee/tea in common area. At the end of the day exploring nearby attractions like Nampodong Street and Busan Tower, guests can relax at the hotel’s terrace. A more high-end type among affordable hotels, guests will love the location, food, and large rooms of Hotel Aventree. This hotel has more room choices especially for families – Suite Family, Deluxe Family, and Premier Family. This hotel has a gym, restaurant, computer station, coffee/tea in common area along with free Wi-Fi, parking, and daily breakfast. Another great area to stay in Busan is Haeundae, where the city’s famous beach is located. Considered by many as a party beach, within the area are plenty of choices for cafes, restaurants, and bar. If you don’t mind the crowd just to be close to the sand and the water, then Haeundae is for you. This is a great place to stay if you want to party when in Busan. Most hotels in Haeundae are just a few steps from the beach, drawing many travelers to stay in this area. As a party area, many think it is only home to upscale hotels, but there are budget-friendly places to stay in Haeundae. Modern and best for stylish budget travelers, K-Guesthouse only has 19 rooms, letting guests enjoy a rather cozy lodging for less. Rooms are spacious and modern complete with flat-panel cable TV. This lodging offers complimentary parking, WiFi, and continental breakfast. Those traveling in groups can book one of the family rooms of K-Guesthouse Haeundae 1. Close the beach, restaurants, and public transport, Ekonomy Haeundae Hotel & Guesthouse offers a great view of the ocean. Rooms have basic amenities yet clean with enough space. Multilingual staff, a computer station, luggage storage, TV in common area and complimentary Wi-Fi and breakfast makes this hotel appealing to international guests. Want to work and play when in Busan? This hotel is only 6 minutes from the beach by walking and close to Busan Aquarium. This hotel is pet and kid-friendly with the right amount of facilities like laundry services, coffee/tea in the common area, and terrace. Located within a shopping complex, guests have access to restaurants and shops while only 4 minutes away from the nearest station. Must-stay is the hotel’s Korean rooms complete with futons and heated floors. For those who want to splurge, stay in the suite with whirlpool tubs and a fireplace. Looking for a pet-friendly hotel can be tricky but if you need one, this is the hotel to stay with your furry companion. Another reason to stay in this hotel is the amazing view not just of the harbor and beach but the East Sea. Close to the station, Busan Museum of Art and of course, the beach, Citadines Haeundae Busan offers modern apartment hotel for today’s travelers. Visually appealing with its dominant white colors and floor-to-ceiling windows, Industrie Business Hotel beckons partygoers without paying too much for a luxury hotel. Close to the beach and nearby attractions, rooms are modern and spacious including their family rooms that can house up to 4 guests. Selected rooms have balconies to enjoy the sea views. Guests who want to stay in a familiar hotel chain might want to check out Ramada Encore Haeundae. An upscale hotel with guest rooms fitted with modern amenities and ergonomically designed complete with floor-to-ceiling surround windows, this hotel offers a long list of amenities and services for guests from solo travelers to families to enjoy the beach life at Haeundae. Kolon Seacloud Hotel is just across the street from the beach and less than 5 minutes from the nearest station. Bearing contemporary and modern decor, rooms have floor-to-ceiling windows, mini-fridges, with selected rooms enjoy sea views. Suites had kitchenettes and washers. Kid-friendly, this hotel has a pool. A beachfront hotel MS Hotel is perfect for those tagging their kids with the famous Busan Aquarium just steps away. Rooms are spacious with unobstructed views of the beach. Self-serve laundry, fridge, and microwave are available in the common area. This beach hotel also has a computer station, convenience store, and ATM on site. Another famous hotel chain in the area is Best Western Haeundae Hotel offering 134-modern guest rooms with beach views. Family-friendly, family rooms enjoy terrace to enjoy the stunning view of the sea. The hotel has a restaurant, cafe, 24-hour business center, luggage storage, concierge, multilingual staff, and in-room accessibility. 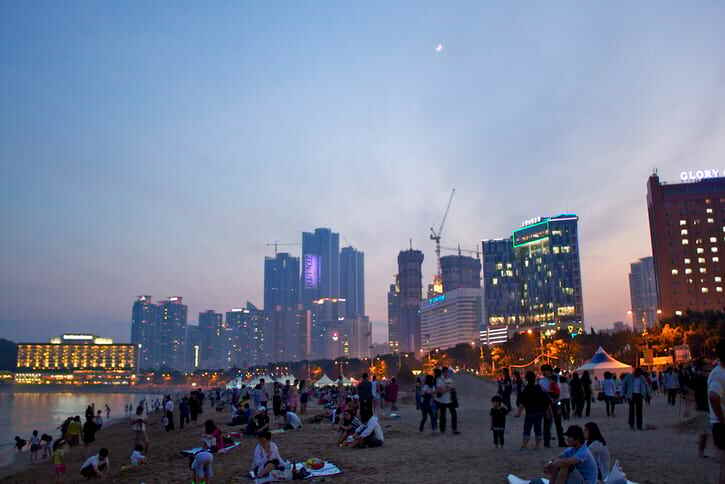 From its name itself, Sunset Beach overlooks Haeundae Beach with its golden sunset. Rooms are modern, spacious, and has ample amenities such as room service and sitting areas. Guests staying at one of the suite rooms can enjoy furnished terraces and whirlpool tubs. A beachfront hotel, Kunoh Seacloud Hotel provides direct access to the beach, shops, and restaurants. Guests can choose between ocean or city views with selected rooms enjoying a stand-alone kitchenette and minibar. The hotel offers concierge, dry cleaning/laundry, bar/lounge, and a multilingual staff. 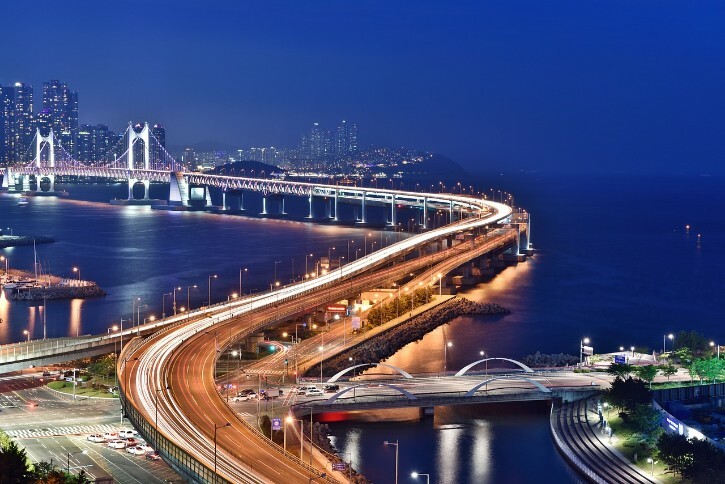 As a bustling city, it is important to know which are the best places to stay in Busan. 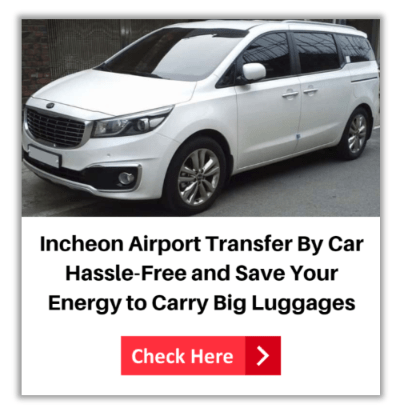 Given the accessibility to top attractions, things to do, and Busan landmarks, I recommend staying at hotels located in Nampo-dong or Haeundae. These hotels are highly accessible from attractions, train stations, and most of all to shops and restaurants.